1. It rains… a lot. Copenhagen suffers from bad weather in much the same way that London does, just without the reputation, and with buckets of snow in the winter. I visited during the first week in October, and I spent seven days in Copenhagen. 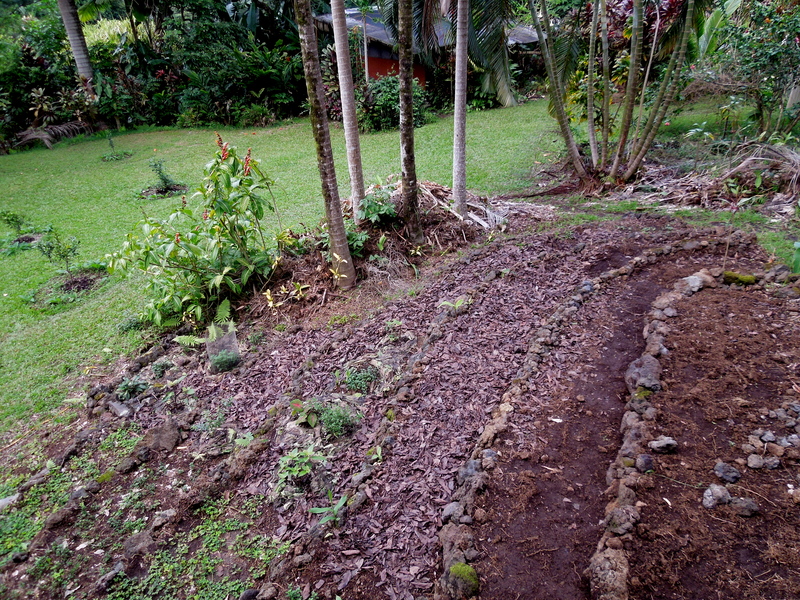 It rained on five of those days. Actually it rained six of those days, but on the 6th day, I was back at my hostel for the evening by the time it started raining, so I counted that as a dry day. In Copenhagen, if the weather report called for a 40% chance of rain, it would rain about 40% of the day. I don’t think that is generally how “chance of rain” is supposed to work, but maybe things are different in Denmark. Either way, bring a raincoat because an umbrella alone won’t cut it. 2. Check Tivoli’s opening hours. Tivoli Gardens is a famous amusement park with grounds that also include restaurants and theaters, but I can’t tell you any more about it, because I didn’t go. 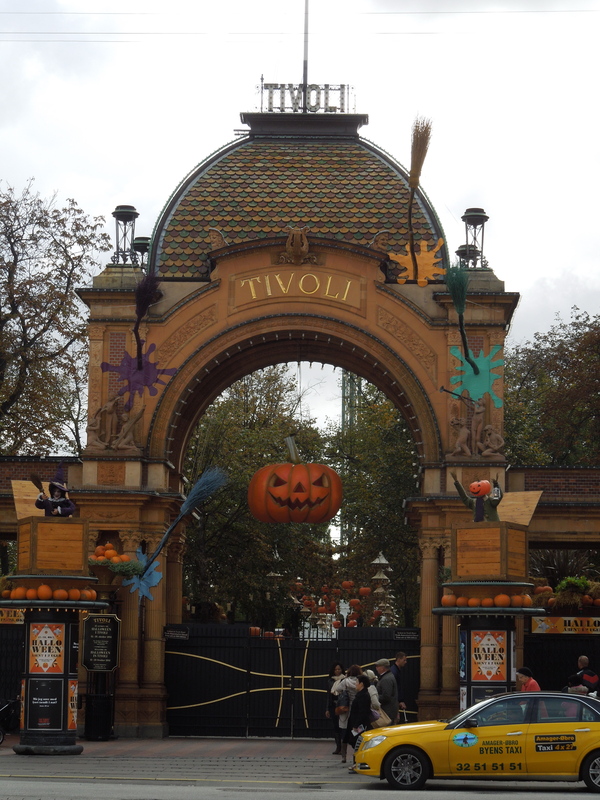 Tivoli Gardens operates on seasons, where the park is decorated according to different themes, and the first week of October was too early for Halloween, but too late for summer. That meant the park was closed the entire week that I was there, so if you’re interested in visiting the second oldest amusement park in the world (thanks Wikipedia!) 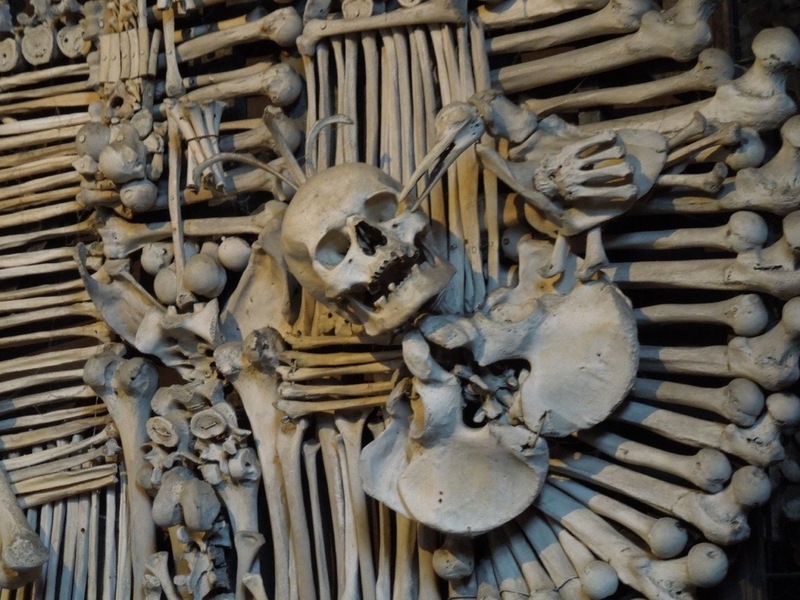 you should be sure to check that they’re open before planning your visit. 3. Try more than one smørrebrød. Smørrebrød are open-faced sandwiches, and they are a Danish specialty. Ida Davidsen is known as the best smørrebrød chef in Denmark, and her restaurant, Ida Davidsen, is known as the best place in Copenhagen to go for this particular delicacy. I’m a bit of a foodie, so I made a special trip to Ida Davidsen and even took notes on my meal intending to write a review of this sure-to-be-orgasmic-experience… It was okay. Ida Davidsen is only open Monday through Friday from 10:30am to 5:00pm (although the kitchen closes at 4:00pm) and I arrived at 3:30pm so the selection was a little picked over and the waitstaff was tired and disinterested. I ordered the fishcakes with capers and the pork chop with apples and caramelized onions, so maybe it was just the sandwiches I ordered, but I found the experience lackluster particularly for the price. I purposely didn’t try smørrebrød anywhere else because I was waiting for Ida Davidsen, and I don’t think it was worth passing up other, cheaper opportunities. Please forgive the fact that I’d already taken a bite; this is the photo that best shows the size of the smørrebrød. 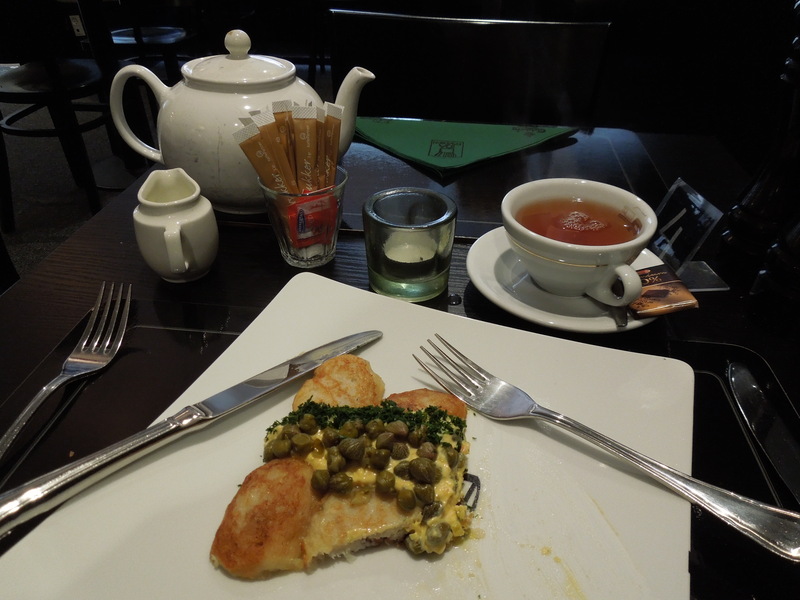 Also, there is a tiny piece of bread under all of those fishcakes and capers. 4. Copenhagen is super expensive. Denmark is not on the Euro, and the Danish Kroner is very strong, plus the conversion to United States Dollars isn’t easy — 1 USD is equal to 5.52 DKK. With this in mind, there are still some awesome free opportunities in the city. I mentioned in a previous post that the Ny Carlsberg Glyptotek (an awesome art museum) is free on Sundays, but The Museum of Danish Resistance is free every day. It’s a small museum dedicated to the Danish resistance of Nazi occupation, and chronicles the work of underground newspapers and spies, as well as how life changed for everyday people in Copenhagen. The experience is powerful and humbling, and the museum is well worth a visit. If your trip to Copenhagen coincides with nice weather, it’s a very walkable city and there is plenty of interesting architecture to check out. Plus, you can pay a visit to The Little Mermaid and from there stroll around the Kastellet, which is a well-preserved and still functioning fortress. 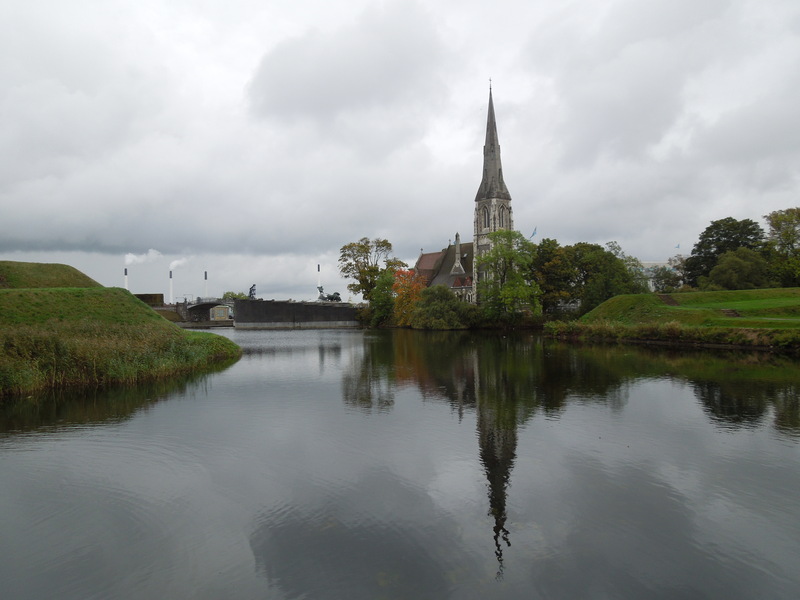 There’s a moat surrounding the star-shaped Kastellet, and the view is rather nice. 5. Take a daytrip to Hamlet’s Castle. To end on a positive note, this is something that I did right in Copenhagen. 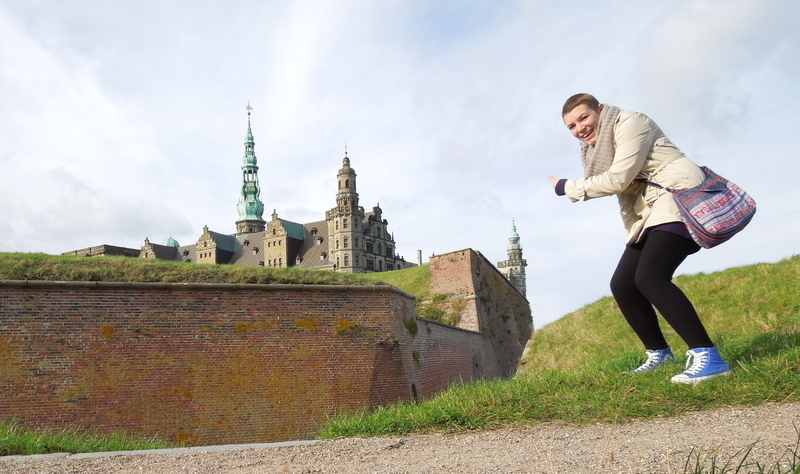 When I found myself with an extra day (chance of rain: 0%), I took a daytrip to Helsingør to visit Kronborg Castle, best known as the home of Hamlet, Prince of Denmark. It’s an easy train ride from Copenhagen — just 45 minutes — but a one-way ticket is expensive, so you’re better off buying a 24-hour ticket, which will cover you there and back. Once you arrive in Helsingør, it’s an easy 15-minute walk to the castle, where they offer guided tours, and you can learn the often amusing histories of the monarchs who actually lived there, as well as some speculation about how Shakespeare decided on this setting for his tragic hero. Great post! Despite the rain and the brutal blows to the wallet, I really loved Copenhagen – the colors, the people, the atmosphere – it really felt special to me. I unfortunately missed out on the Tivoli experience, too. I thought Copenhagen was great too! I hope it didn’t sound like I was discouraging people from going there when I mentioned the rain and the expense. When I read your comment, the mention of the colors struck me. Between the architecture, the art, and the parks, it really is a colorful city.